As part of the new tool, brands will pay a seller fee. 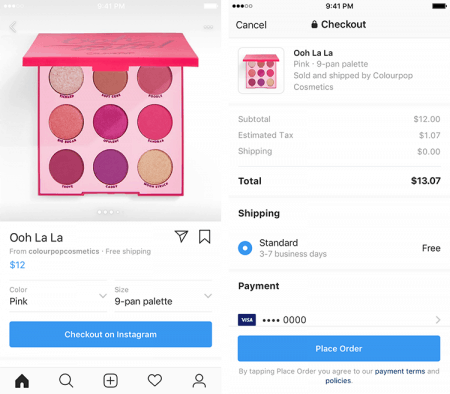 After rolling out a series of shopping features over the past year, Instagram is finally debuting its ultimate retail tool: checkout. The new tool, which lets consumers pay for products in the app, begins rolling out today in the U.S., with 23 brands, including Nike, Adidas, Zara, Outdoor Voices and Warby Parker, part of a closed beta. According to Instagram, 130 million people tap on posts to see shopping tags. 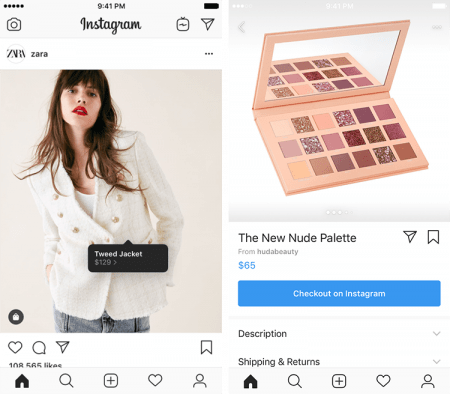 Now, when consumers tap on those tags and see a product page, a “checkout on Instagram” button appears. Consumers can pay in three different ways: saving their payment information on the app, entering it during checkout or paying with PayPal. 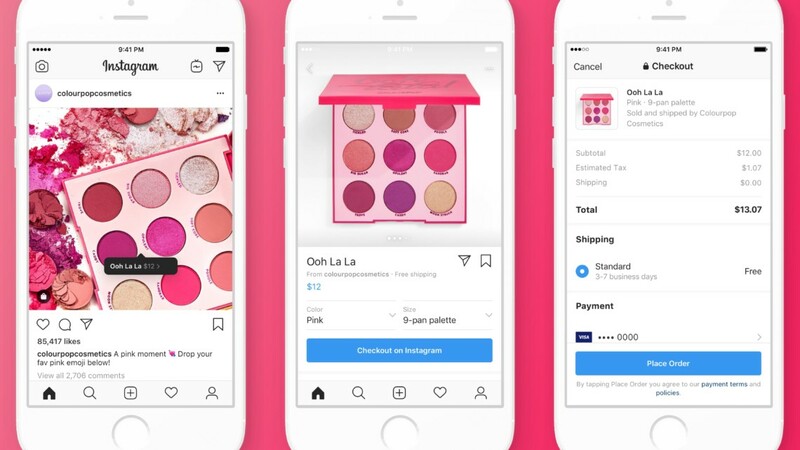 Instagram is also rolling out buyer protection and letting consumers connect directly with brands as part of checkout. Amjadi said in most cases, consumers can resolve issues with brands but if not, Instagram will dole out refunds. Brands that are part of the beta are also paying a selling fee, though Instagram did not disclose the amount. As far as data goes, brands are only receiving contact information and shipping addresses, but Instagram is also offering an option for consumers to share their email. Instagram is working with partners like Shopify and BigCommerce to roll out the experience. Not all brands are thrilled with the news, particularly direct-to-consumer brands. Nicole Centeno, founder and CEO of meal-delivery company Splendid Spoon is concerned that consumers using checkout are more likely to drop off than others and that the data Instagram collects could affect customer sentiment. “The issue is as a single channel that already owns so much of our viewing time and derives revenue through advertising, do we really want to give it commerce as well?” Centeno said. 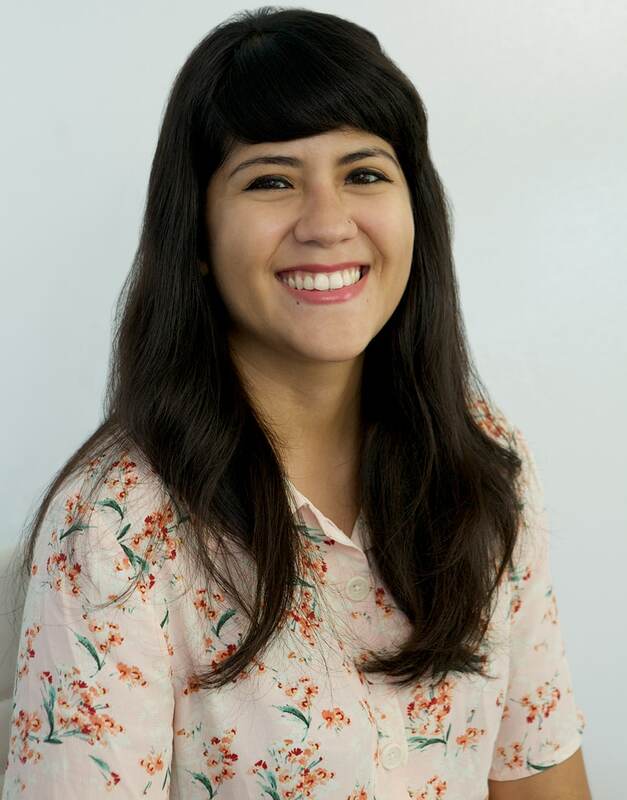 Centeno agrees, however, that “diversification is critical” for DTC brands, and Karalyn Zamora, director of digital marketing at Gravity Products, thinks it’s a step in the right direction. Zamora said the seller fee isn’t a total turn off if checkout helps the company increase conversion rates and lower CPAs. For Ryan McIntyre, general manager at Porter Road, a DTC butcher company, the issue for a brand like his isn’t the seller fee, but rather that a tool like this rewards impulse purchases people see in a feed as opposed to increasing basket size per transaction. It’s not surprising that this feature is happening with Instagram first and not Facebook. Rachel Tipograph, founder and CEO of social commerce video company MikMak, said this strategy is part of Facebook and Instagram’s playbook of testing a consumer behavior first to see if it works. But, for now, these types of features don’t work for brands that sell through distributors like Target or Sephora. It’s a ripe time for Instagram to introduce checkout, considering a Salesforce holiday 2018 recap report revealed that 48 percent orders were done on a mobile phone, compared with the 44 percent on a computer—a key trend pointing to the continuing rise of mobile shopping. In many ways, both Facebook and Instagram are prepared for this considering the release of payments in Messenger happened way back in 2015 and Instagram started letting consumers save payment information in the app in May 2018. However, with the company’s ongoing privacy and brand safety issues, it’s going to take time to see whether consumers are ready and willing to dole out their credit card information.